While Lego is noted for its iconic Lego brick, the toy giant is now tapping into artificial intelligence to better guide shoppers for the coming holiday season. Driven by IBM’s new Watson Ads Omni, Lego customers will be able to start a conversation with an AI-powered Lego ad. After answering a few questions, customers will be guided to the best Lego gifts based on their perceived needs and desires. The toymaker is the first brand to tap into IBM’s newest AI advertising solution, which is an extension of Watson Ads, the tech company’s ad unit that delivers hyper-personalization at scale. The ad was previously available only on The Weather Channel app and weather.com. The AI is trained on the knowledge of 35 different Lego products, allowing it to create distinct, personalized responses to specific questions from consumers. 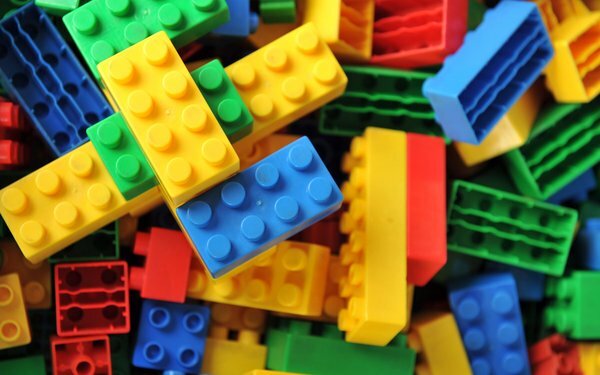 While many consumers are familiar with the 60-years of Lego’s two-by-four-inch brick, first made in a small Danish village in 1958, they may not be as familiar with the depth of the Lego line of products. AI is about to lead them through that maze. 5 comments about "Lego, IBM Team For AI-Powered Interactive Ad". R MARK REASBECK from www.USAonly.US , October 3, 2018 at 9:45 p.m. When I was a kid growing up in late 50's/60's , one of my favorite toys was a plastic building block made in America by a company called ELGO. (Elliot/Goss) they were the original interlocking blocks. Two conflicting stories say ELGO sold their rights to LEGO, and the other is LEGO just stole the idea. Do a search for ELGO Blocks and see the great buildings you can make with them. They included Crank out windows, doors, glass blocks and roof cupolas. My uncle actually bought about 6 sets and used them to design his mid century modern home in Vegas. Chuck Martin from Chuck Martin replied, October 4, 2018 at 10:22 a.m.
John Grono from GAP Research, October 4, 2018 at 10:03 p.m.
Lego started making "Automatic Binding Bricks" in 1949. These were preceded by Kiddicraft's "Self Locking Bricks" that were patented in the UK in 1939 but not released until 1946 or 1947. Kiddicraft is now part of Fisher-Price. Minibrix were even earlier but made of hard rubber and not plastic. All featured studs on the top to lock them together unlink the preceding wooden blocks which fell over when stacked. Lego is said to be derived from the Danish phrase 'leg godt'. Maybe Elgo was based on an anagram of lego. R MARK REASBECK from www.USAonly.US , October 4, 2018 at 11:33 p.m. There are several conflicting stories. But Elgo was spin off company named after 2 partners ELliot and GOss. thus Elgo. Chuck Martin from Chuck Martin replied, October 5, 2018 at 10 a.m. Interesting Lego history here, thanks Mark and John.